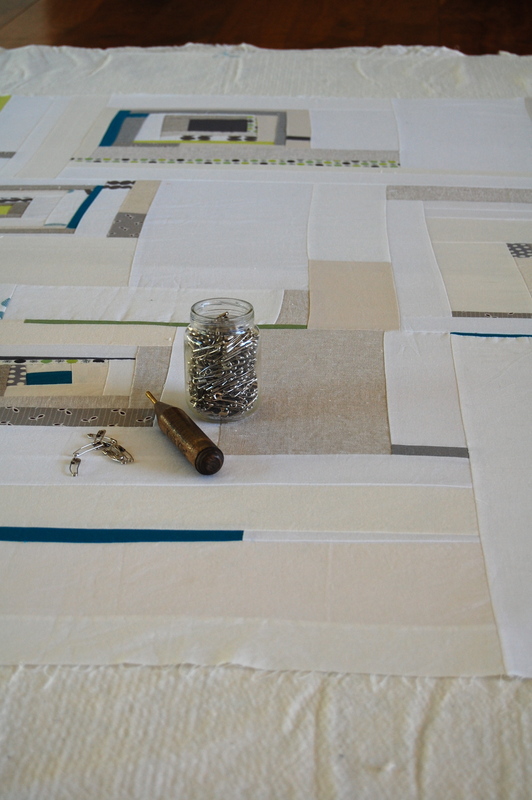 For some reason, basting is one of my favorite steps in my quilting process. I much prefer to sit on a floor than a chair, so it’s a nice break from sitting at my machine, and it allows some time to figure out the type of quilting lines I’ll use. It is such a relaxing and easy time for me. I started this quilt a while back and am happy to be getting one step closer to finishing it. So I’ve just brewed a cup of tea and now it’s time to settle in. After another long break(lots of life obligations currently taking over), it feels good to set aside this time…… just me and my quilt!! Hope you’re getting some quiet moments for yourself too this week… I know they are often hard to find! I’m linking up with Freshly Pieced- Work in Progress Wednesday, so much to see over there if you have an extra minute or two or three….. I admire those who don’t mind doing basting. It’s usually where I get hung up in the quilt making process, unless it’s a really small project then it’s no big deal. The quilt looks great! I feel the same – I enjoy basting too. The time to sit and baste, well, that is often hard to come by. I am glad you are enjoying the moment! Oh, and *gorgeous* quilt! Missed you last night Mrs A.!! I positively abhor basting. it hurts! I can’t get a smooth sandwich! I applaud you! Totally understand. I love it when I can get totally immersed in something simple but creative. also, you can come baste my quilts anytime!! I really love your quilt, it must be so nice to work on it. oh I can’t believe you love sitting on the floor basting! That is totally opposite of me – ha. Your quilt is so lovely!! I like it ALOT! Thanks for linking up to wip Wednesday where I’ve had the pleasure of guest-hosting this week! Oh lovely! I, too, like the ritual of smoothing out my quilt on the floor. Can’t wait to see what you do with it.